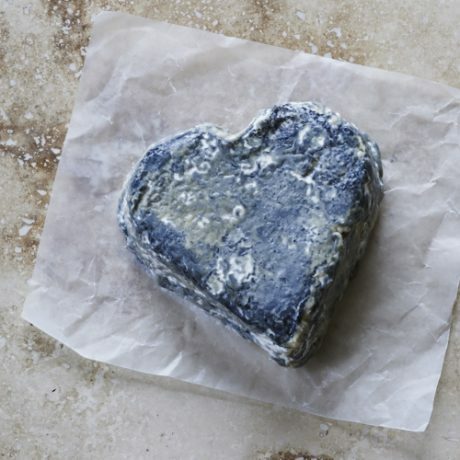 Heart Shaped Amalthea goats cheese – buy Amalthea online from The Courtyard Dairy. Amalthea takes it's name from Greek mythology, Amalthea was the goat goddess that nourished the Greek god Zeus with her milk. Developed in partnership with The Courtyard Dairy, this new cheese is made to a typical French recipe, but with more delicate goat and yeasty flavours to counter the freshness. 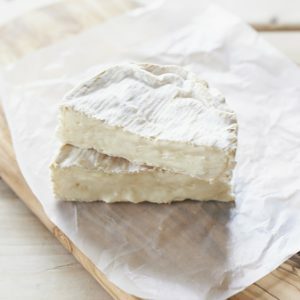 Amalthea takes it’s name from Greek mythology, Amalthea was the goat goddess that nourished the Greek god Zeus with her milk, and is moulded into a heart-shaped cheese. In 2013 Haydn left Neal’s Yard Creamery in order to venture out on his own. Borrowing equipment, and renting a nearby dairy in Worcester, he started to tinker. 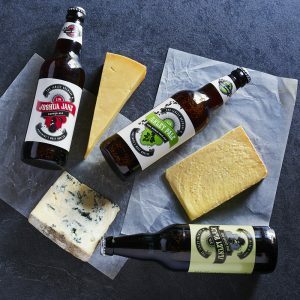 He contacted Andy Swinscoe (owner of The Courtyard Dairy) and together they began to develop a goats’ cheese that they hoped would rival the best of those being made in the UK. Using unpasteurised goats milk, they experimented – different recipes, bacteria, size and maturation (you’ll find lots of pictures of mistakes and various experiments on Twitter). Even with their useful experience, however, it was six months before the cheese was good enough to sit on Andy’s counter at The Courtyard Dairy. 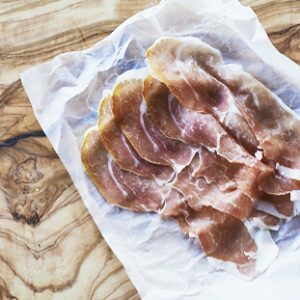 It was a French lactic-style (slowly set over 24 hours or more), with a thin undulating rind (a natural yeast rind) that gives it richness and creaminess. 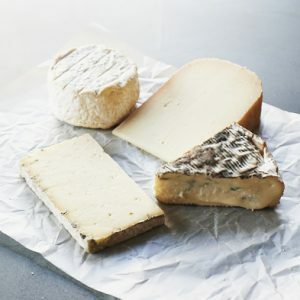 Haydn ships this cheese after about a week, when it is stable, then it is ‘hastened’ and dried slightly by Andy before being matured for three to four weeks until it ‘breaks down’, allowing the rich flavours to show and the luscious texture to develop without being too overpoweringly ‘goaty’. Weight: 1 x 200g cheese.